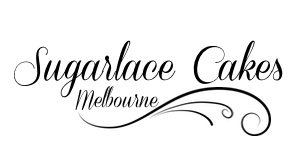 Welcome to Sugarlace Cakes Melbourne. My name is Leticia and I’m the face behind all the cakes you’ve seen on the site. I started my cake business whilst I was studying my Law/Psychology degree and found that it was a great creative outlet for me. Even now as a lawyer, I find that making sweet creations for my clients is the little creative outlet I need to get me through the week. It’s actually satisfying coming home from work, even though I’m exhausted, to bake! I guess the passion I have for cakes is why each one is so special to me and my clients. I really put every little ounce of love into them. I hope you can see that and appreciate it when you dig into one of my creations. My cake journey started when my friend Kristen asked me to make her 21st birthday cake. I personally thought she was nuts! To prepare, I watched hours and hours of YouTube videos to learn how to cover a cake with fondant and I came up with the white cake you see below. On the night, everyone loved the sweets so much (I made about 70 cupcakes too) that people asked for my business card. At this stage starting a business wasn’t even something I had contemplated. I was trying to get through University and figure out my life. After trying my hand at a few more designs, I had an up and running business that started out of my little kitchen at home. I pride myself on my creations and go above and beyond to make your event that little bit extra special by having an amazing cake! Hope you love the website and keep on following me on my caking journey.